North Korea will test a long ranged ballistic missile near Japan and Hawaii which threatened US and Japan. 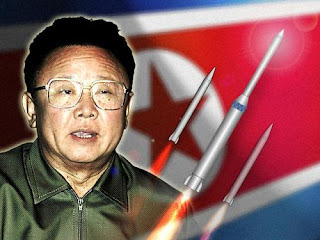 North Korea, which has informed international agencies of its plan to fire the missile between April 4 and 8, says the launch is a "satellite test" which it is entitled to make under international law. North Korea is in defiance with the UN resolution establish last 2006 by the six-party talks. Recent satellite imagery has shown that the North Korea has now assembled two stages of the three-stage Taepodong-2 missile on a launch pad in the country's northeast. Experts estimate that missile could be ready to fire within four days. Japan has threatened to shoot down the missile if it crosses over Japanese territory, a move which Pyongyang has already said it would consider an "act of war". Hillary Clinton, the US Secretary of State, has warned any launch would threaten to end the six-party talks over Pyongyang's nuclear weapons program. The talks have been stalled since December in a dispute over how to verify its disarmament. The US already deployed two warships with anti missile capabilities in the Japanese Sea which are ready to fire at the missiles when things go bad. It is unclear if China, Pyongyang's only major ally which has held talks with senior figures from both North and South Korea in the last week, would support a US move to deepen sanctions.